Make My Home Smart—It’s as Easy as 1-2-3! Choosing to have an unbiased home energy audit is the most cost effective approach to make your home energy efficient, comfortable and healthy to live in. We will test, diagnose, and evaluate your home’s energy usage and provide you a prioritized action plan to follow. By steering you away from ineffective repairs that just don’t pay off as well as products and repairs you don’t need, and guiding you toward better, cost effective options, our plan provides you the greatest energy savings for your investment. One thing is for sure; we don’t cut corners on our audit or make recommendations that look like the products we sell because we do not sell any. As a result, you spend your dollars on the right fix for your home and save money on total audit plus repair costs. One size does not fit all, therefore, we offer many audit services and options to meet your needs. 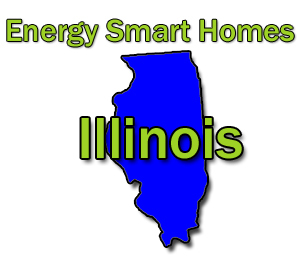 If you are an Ameren Illinois heating customer, Energy Smart Homes can help you qualify for your repair incentives and on-bill financing. Give us a call to get started! 314-255-9922. Optional services or reports are also available to meet your needs. Put your Energy Smart Homes’ Whole House Performance plan of action in motion to start saving energy now. Every house and every homeowner’s need are unique and not every contractor has the knowledge or skills to repair your castle. To help you get started, we will refer you to trusted, highly skilled, building science experts who can provide the professional installations your home needs. Contractors will not be able to overstate their abilities, products, or services with our quality assurance help. Energy Smart Homes connects you with the best contractors for the job. Whether using one of our referrals or our expert retrofit advice, Energy Smart Homes helps you save on the total cost of your repairs, including the audit. Typical repair recommendations may include air sealing your home with spray foam, adding insulation, sealing the duct work, replacing energy hog appliances, as well as strategic planning to reduce electricity, gas and, or water consumption. Deep energy saving repairs may also include installation of alternative energy sources such as a high efficiency furnace, high efficiency water heater, solar, or geothermal. We provide short and long term strategies to achieve maximum energy efficiency specific to your home’s needs — no more, no less. If you ask us to, Energy Smart Homes will return to your home to examine the quality of your repair installations. We will perform a test-out blower door diagnosis to verify air infiltration reduction, and perform a final CAZ safety test to assure the appliances continue to vent safely. With our quality assurance service, you can rest assured the insulation and air sealing repairs were properly installed and that you have received what you paid for. We want your home to be a healthy, comfortable energy efficient place to live which lasts a lifetime. And, last but not least, regardless of the optional services you choose, we will point you in the right direction to claim your incentives, rebates and tax benefits to help you save even more money. A Whole House Performance Energy assessment typically takes 5-6 hours. A Foundation audit will take approximately 1-2 hours. The type of audit, the size of your house, the number of stories, special construction features and the number of gas appliances requiring safety testing, and optional services ordered affects how long it takes to audit a home. Audits are priced according to the type of audit, size and construction features of your home, as well as your choice of optional services and reports. Give us a call so we can discuss your home and your needs. 314-255-9922.